The Brunswick is an oversized dolman sleeve pullover with a wide hem in two views. 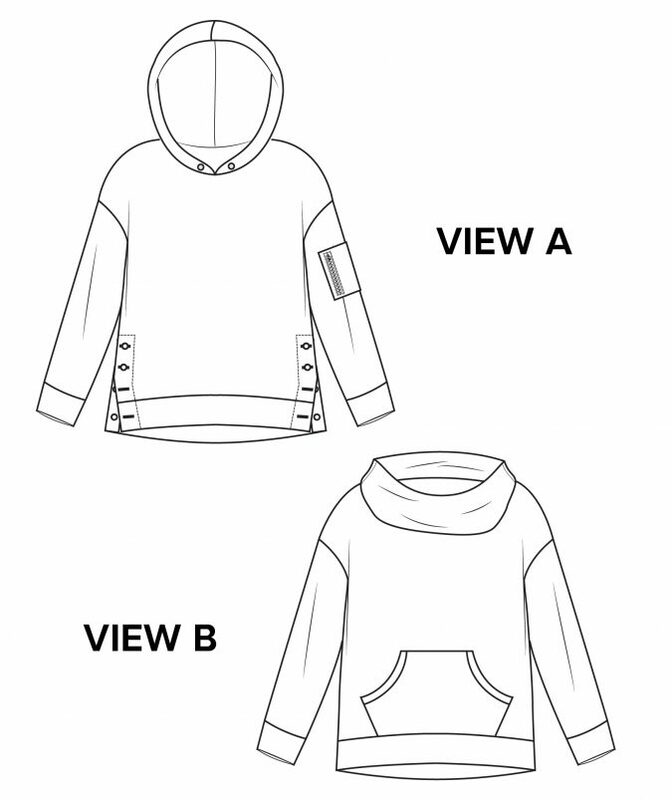 View A features button plackets on the side seams and View B is just a simple pullover. 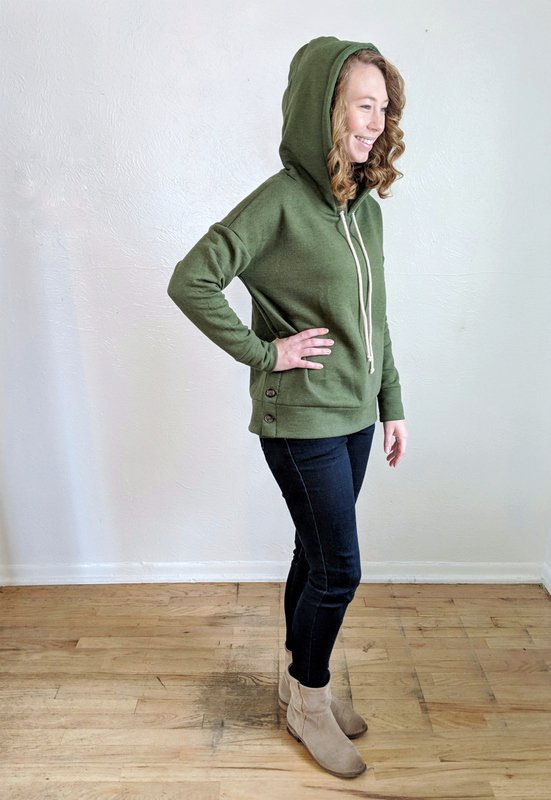 Both views have the options for a lined hoodie, cozy doubled up cowl, a zippered sleeve pocket, and a cropped hem length. View B also has an optional kangaroo pocket. The Brunswick works perfectly with heavier weight 2-way stretch knits like sweatshirting, and the pocket and placket areas are a fun place to feature a contrast or textured woven. 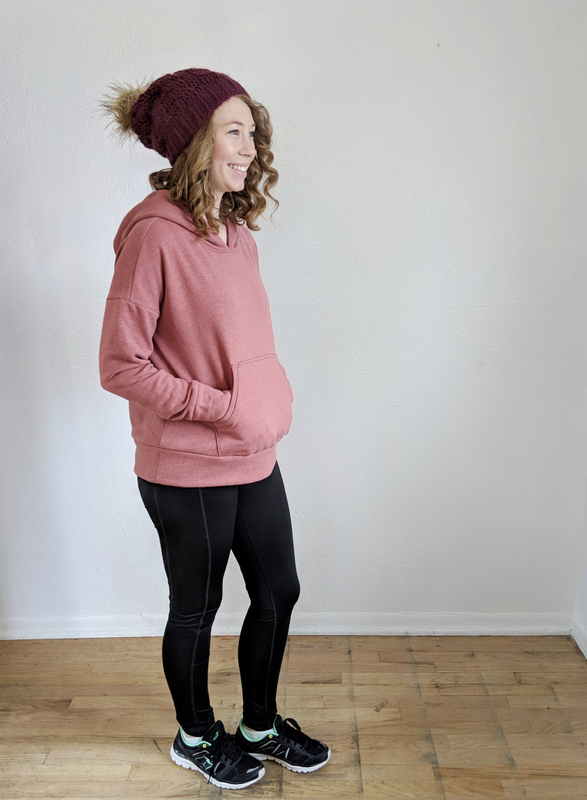 With its easy, cozy fit and unique features, the Brunswick will keep you feeling warm and looking cute all winter! The Brunswick is drafted for and works best with heavier weight 2-way stretch fabrics. However, the pattern also details a few simple alterations that can be made to achieve a good fit for drapier outerwear fabrics, such as French terry and thicker sweater knits. 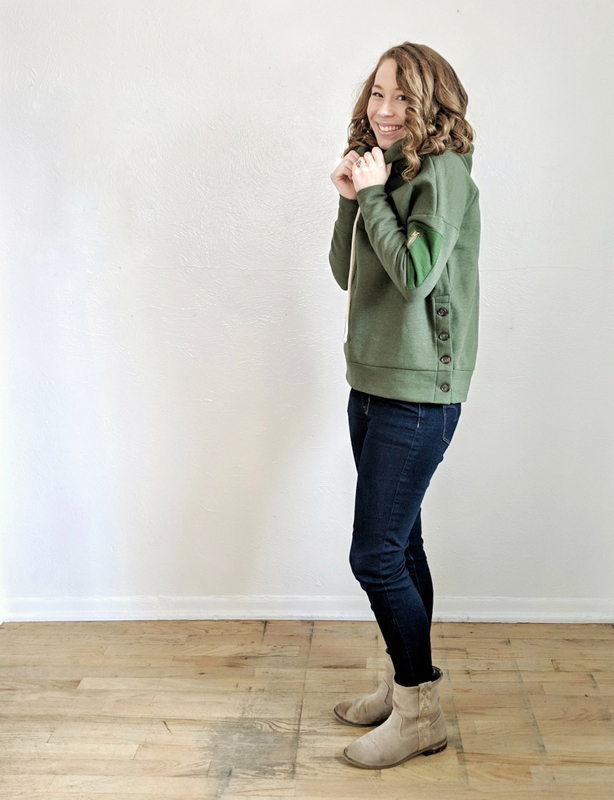 Luckily, quality sweatshirt fleece is becoming more popular amongst fabric sellers, so it’s not too hard to find! Here is a short list of places I’ve found sweatshirt fabric. Remember that sweatshirting is much heavier and denser than other knits and therefore costs more. But as in all things, you get what you pay for. 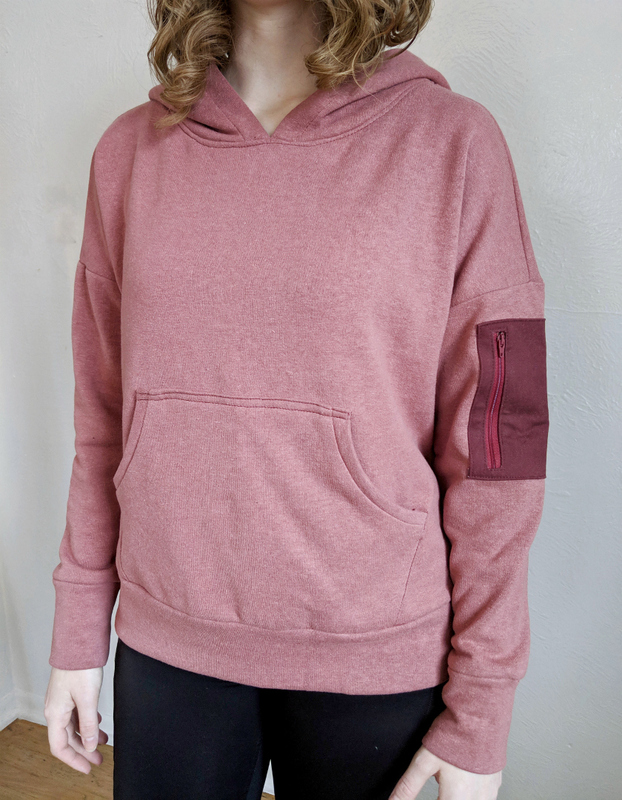 Quality sweatshirt fabric is well worth the price! If you’re looking to save money, I suggest laying out the pattern pieces and looking at the width of the fabric you want to buy. If you can fit the front and back of the Brunswick side by side (and upside down if possible), you may be able to eliminate half a yard from the fabric requirements. This View B is made with the rose organic hemp sweatshirt fabric from D+H Fabric Co. 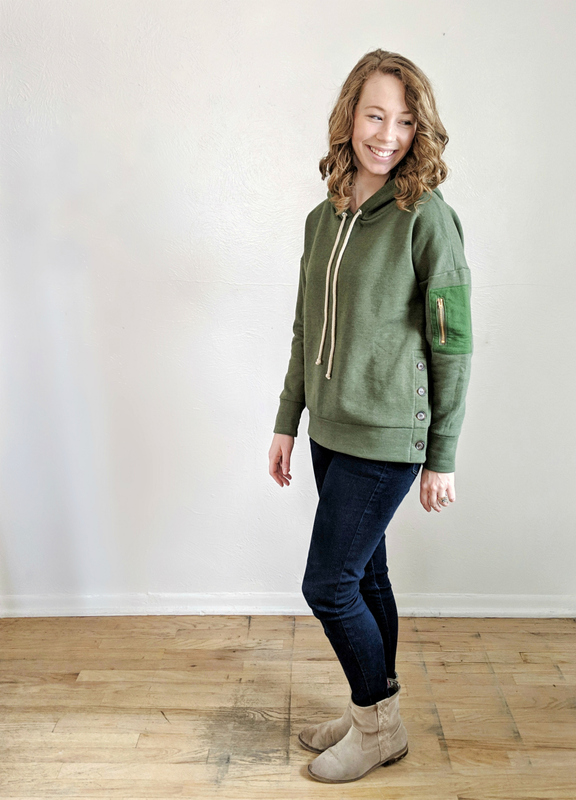 It is slightly thinner and drapier than a traditional store bought sweatshirt, but still has the hand and thickness necessary for the Brunswick. I love the soft hemp nubbiness for the simple style lines of view B! 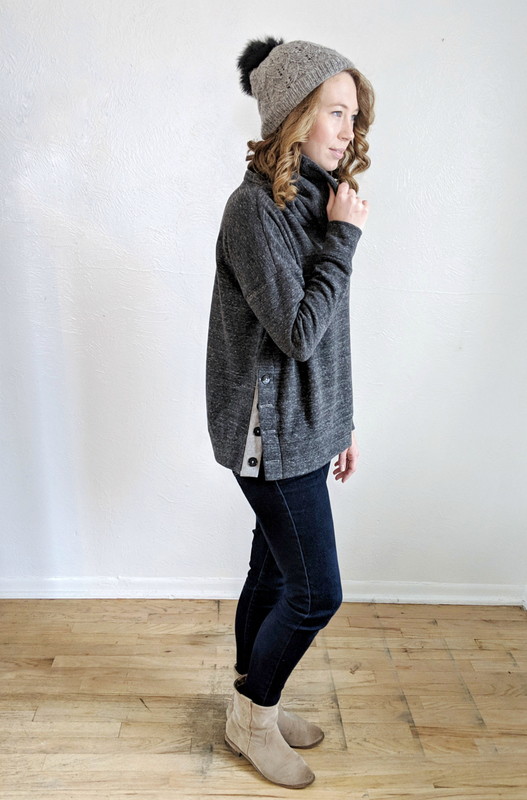 This charcoal speckle sweatshirt fleece is from Style Maker Fabrics. They have quite a few options that would work beautifully for a Brunswick. 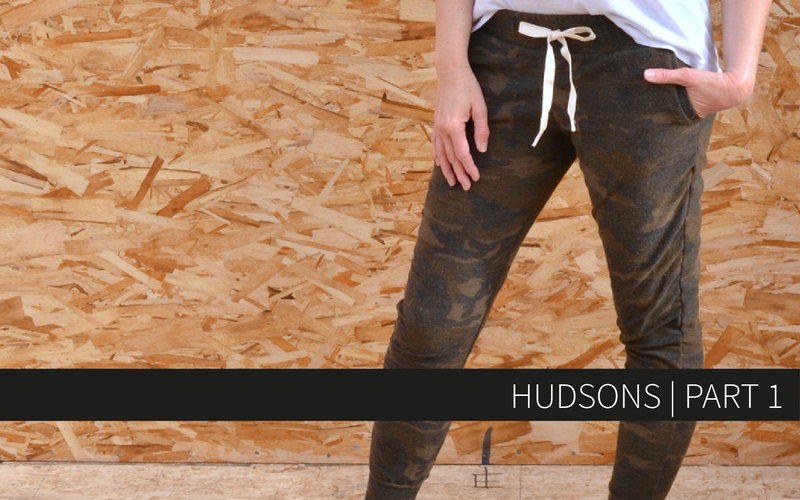 This fabric is thicker and fleecier on the inside because of the cotton content. It feels more like you’d imagine a rtw sweatshirt. The structure made it perfect for view A with a chunky cowl! 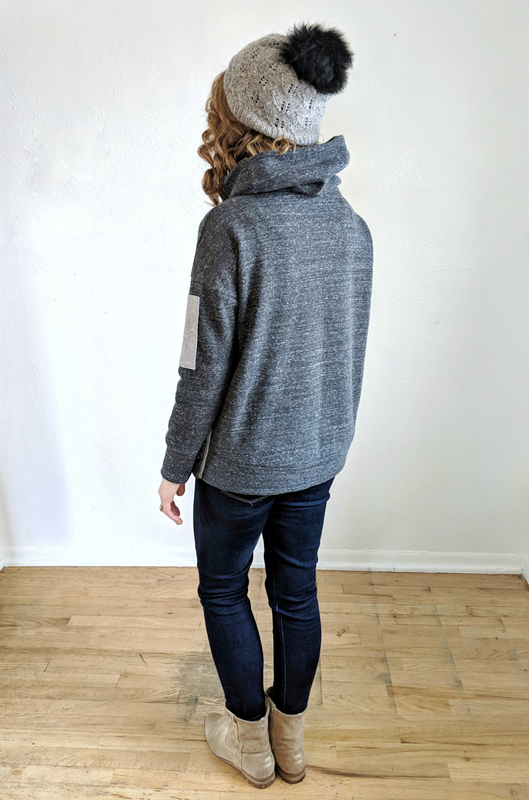 My last sample was made before I researched online fabrics, so I used 3 3XL men’s rtw sweatshirts. 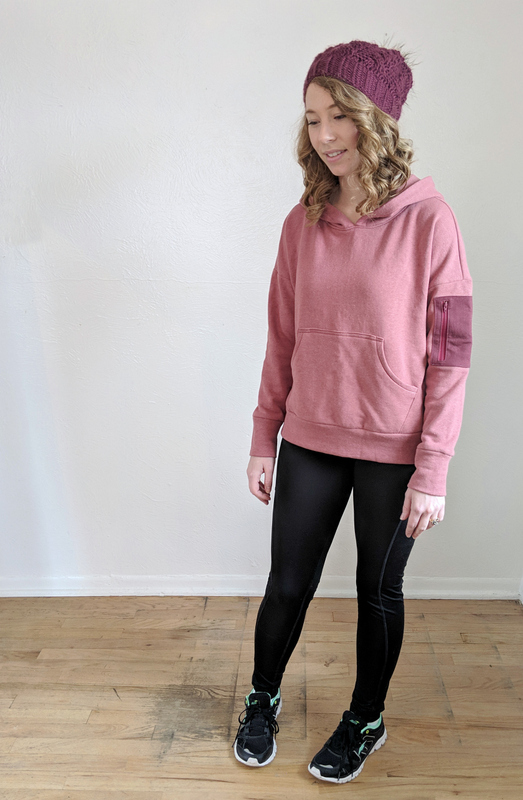 This is a great option for affordable fabric, with the downsides of still contributing to fast fashion and not being able to cut sizes much higher than a 6 due to the wide nature of a dolman bodice. You can see how beautifully the Brunswick works with a heavy weight, low stretch sweatshirt fleece though (this one had about 10% stretch). 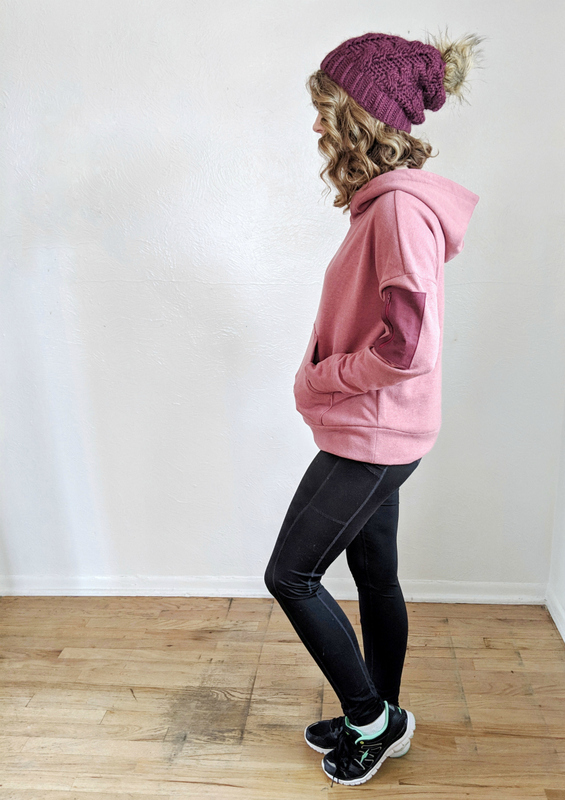 Here are some other shops where I found great sweatshirt fleece options. If you know of more or if you’re a retailer, please let me know and I’ll add it to the list! a 5″ or longer zipper. Coil and metal work best if you need to trim! 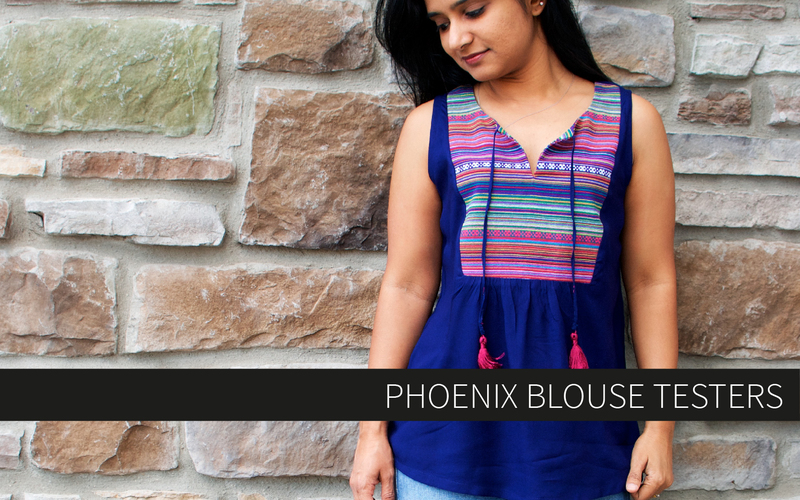 The sleeve pocket and plackets use woven fabric for ease of sewing and style. These samples were made with linen, twill, and flannel. I love adding a pop of contrast using a different texture or a different color in the same tone, but you could also use a completely different color or a print! I love the idea of a sporty Brunswick made with reflective fabric! 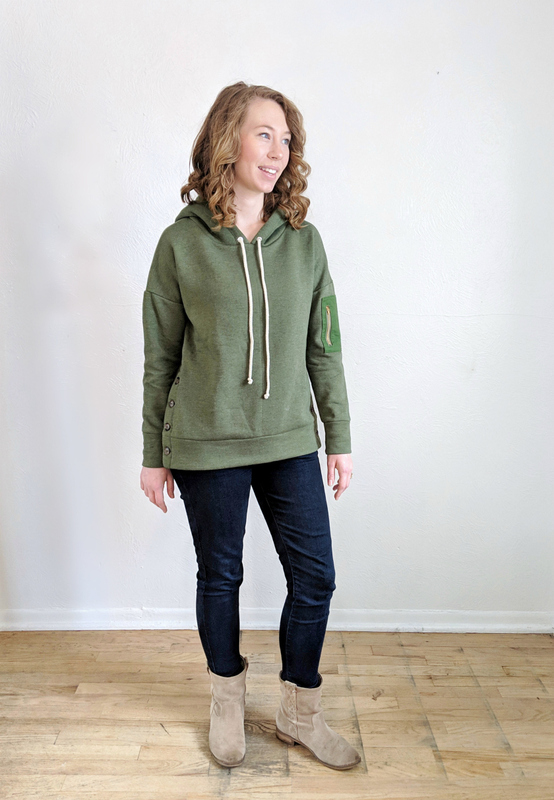 The Brunswick is a casual and easy-to-wear pullover that pairs easily with any casual bottoms, but the plackets and sleeve pocket add just enough visual interest to feel more pulled together than a traditional hoodie. 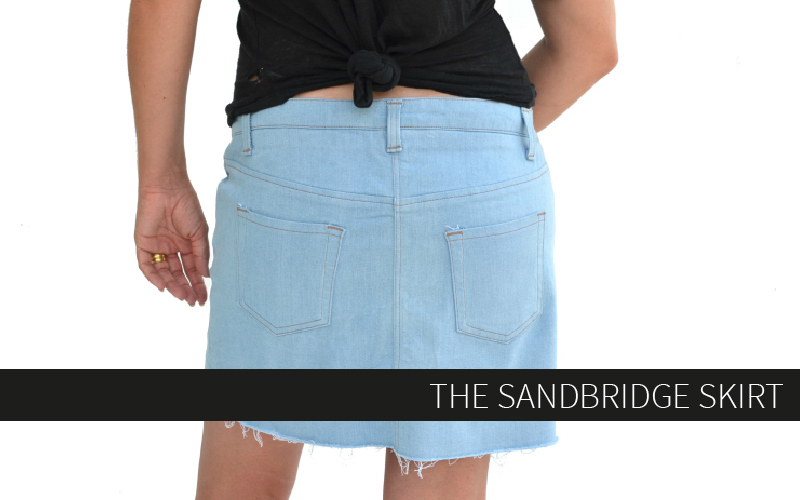 I love the Brunswick paired with slimmer bottoms to really show off its wider silhouette, such as skinny jeans or leggings. The cropped length in particular looks great paired with athleisure pieces. The cowl view feels slightly more dressed up than the hoodie and would work well for casual holiday dinners. 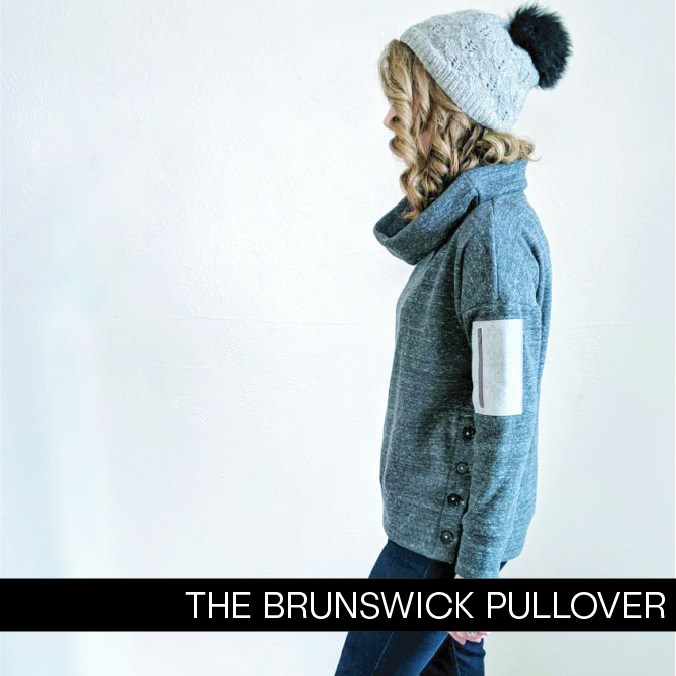 I also think the Brunswick would work well for a post-swim layer, especially indoors where it’s chilly in the AC! 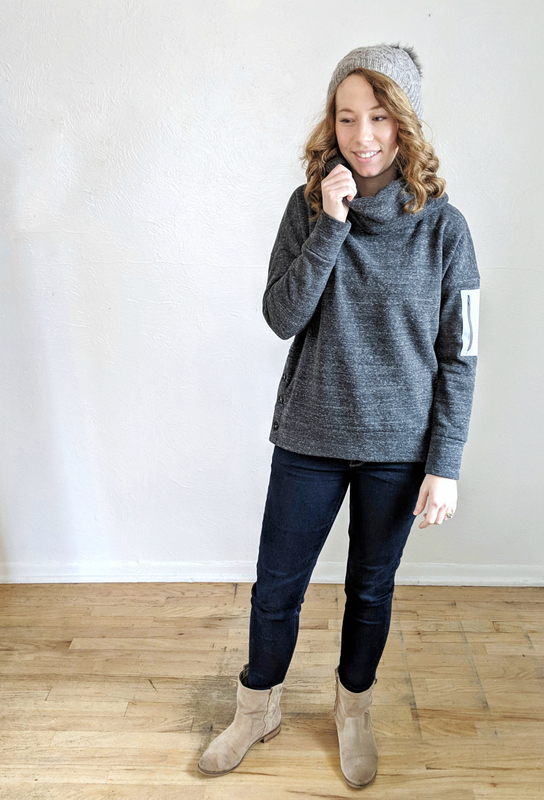 This wardrobe-friendly piece can really be worn all year round! Happy sewing, and remember to grab the Brunswick during our Black Friday sale, through midnight November 26, 2018. For Canadians, some great fabric shops to check out are Mimi Fabrics (the bamboo fleece would be perfect for this), L’oiseau Fabrics (so much selection) and Sitka Fabrics (gorgeous euro Sweats). Can’t wait to make this cozy hoody!! I like this pattern and all the variations. But I would describe it as “drop shouldered”….a dolman sleeve is a bit different than what I see here. Actually I had to use dolman drafting to make this because I wanted the seam pretty low and fitted. The pattern pieces do look like a dropped shoulder once I added in the ease in the body though! That traditional bat wing effect is negated by the wearing ease. I’m very excited to make this! 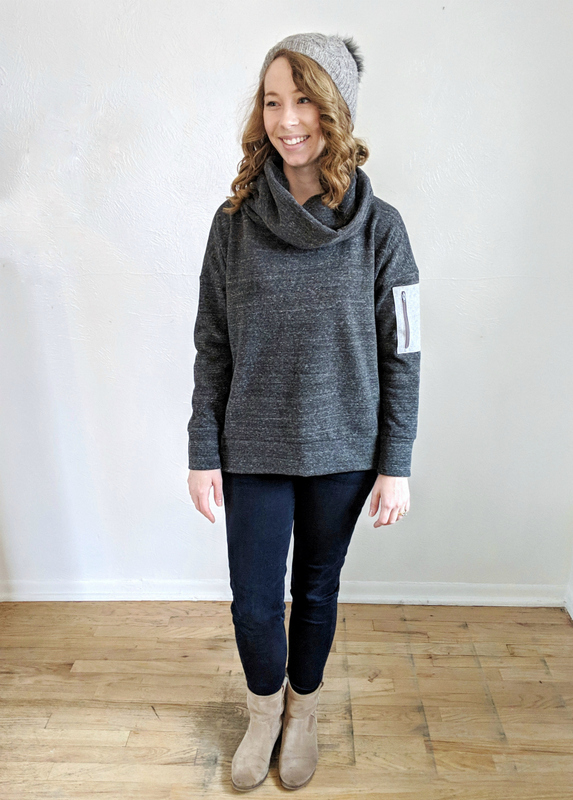 I had recently purchased some grey sweatshirt fleece from stylemakerfabrics – it will be perfect for this pattern!